The ballot for the Penzance BID was successful with 77% of votes being in favour of the establishment of a BID and 23% against. There were 224 votes cast representing 56% of the 'electorate'. There were 5 spoilt/incomplete ballot papers. The votes in favour of the BID represented 71% of the rateable value of those that voted. The result is an unambiguous endorsement of the Penzance BID proposal. 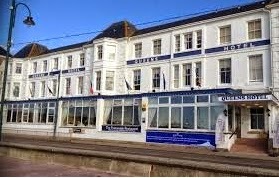 The Chamber AGM tales place tomorrow, Thursday 19th March in the Queens Hotel. Tea and coffeee will be available from 6.30 p.m and the meeting will start at 7.00 p.m.
Marcus Wilkinson will be starting the evening with a brief on the Penzance BID and the next steps assuming a successful ballot outcome on 27 Mar.